Android and iOS are like titans fighting over the entirety of the earth, but if mobile carriers get their way a third champion will soon step up to join the fray. Richard Yu, CEO of Huawei's consumer business group and the Chinese company's device chairman, told AllThingsD on Wednesday that carriers want a third mobile OS to emerge as a clear alternative to iOS and Android. In fact, Huawei (currently the third largest smartphone maker in the world) is in line to produce devices with Mozilla's HTML5-based Firefox OS that could appear as soon as this summer, and some hope that Firefox OS will challenge BlackBerry 10 and Windows Phone 8 for that number three spot. AllThingsD spoke with Yu during the Mobile World Congress convention in Barcelona on Wednesday. 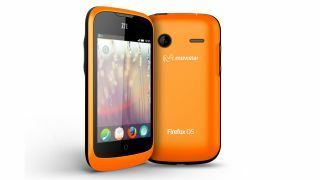 You'd think with Huawei's support of Firefox OS, he'd be quick to sing the system's praises, but instead Yu admitted that Firefox OS might not catch on after all. "Whether the consumers will accept it or not, it is difficult to say," he said. Yu admitted that it's too early to know whether Firefox OS will be successful, much less take that coveted third-place spot, and that "ecosystem support" will be an essential factor in the race. Interestingly, Yu revealed that multiple carriers have pushed Huawei to build devices that would run Tizen, an open source OS currently being championed by Samsung. Samsung will release the first Tizen smartphone this year in Japan. Yu said that Huawei experimented with Tizen devices but has not yet made up its mind. From the looks of it, Yu is playing it cautious so he doesn't get consumer or investor hopes up too high. Though a little confidence never hurt anyone.